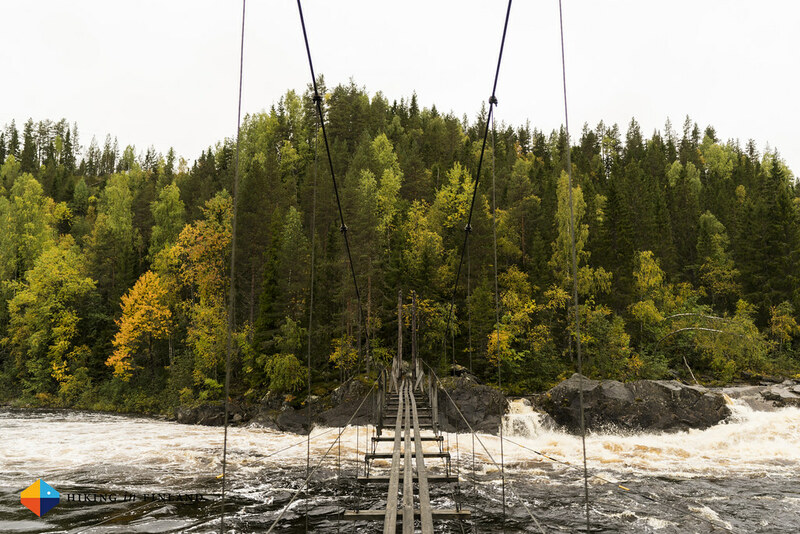 In the middle of September I thru-hiked the Öreälvsleden Trail in Västerbotten, Sweden. 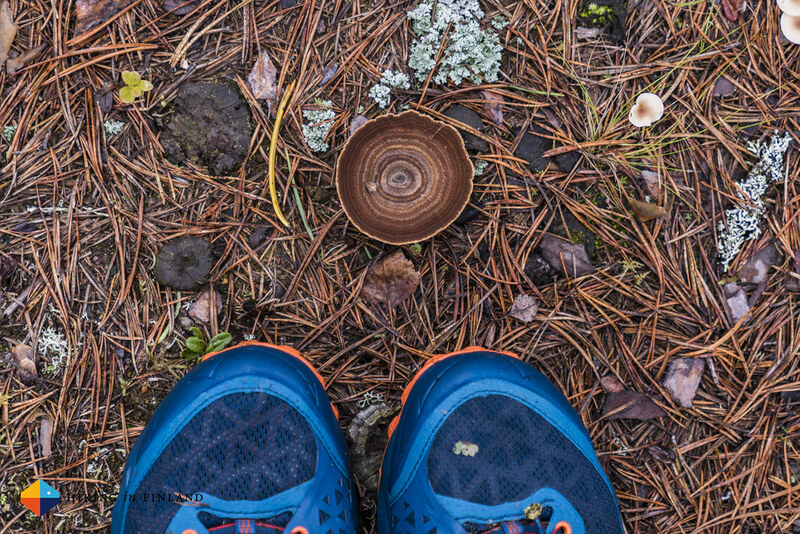 Read on for five days of the finest autumn backpacking. Short on time? 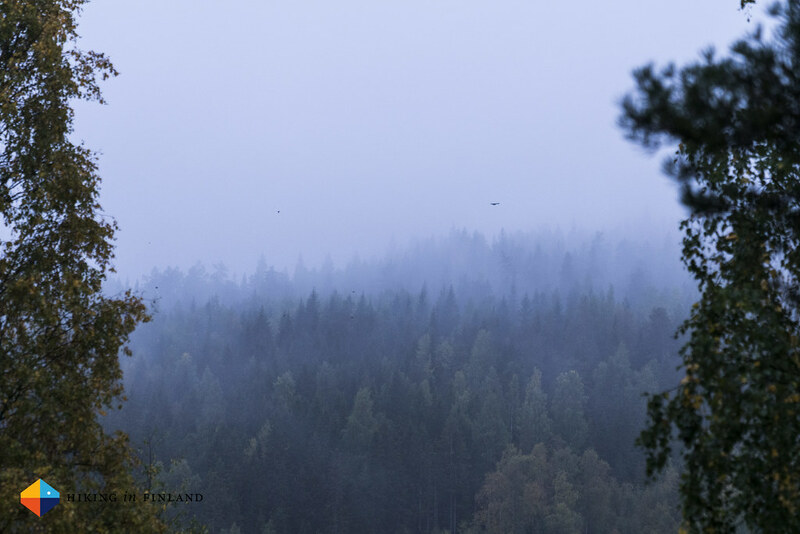 Watch the chronological Video of my hike, from the start up in the wild forests till the Baltic. It’s one o’clock as I cycle over to the ferry harbour in Vaasa, lock my bike and check in. Before me are four hours of ferry boredom but happily it’s much cheaper and more environmentally friendly to take the boat than to fly first to Stockholm and then to Umeå. 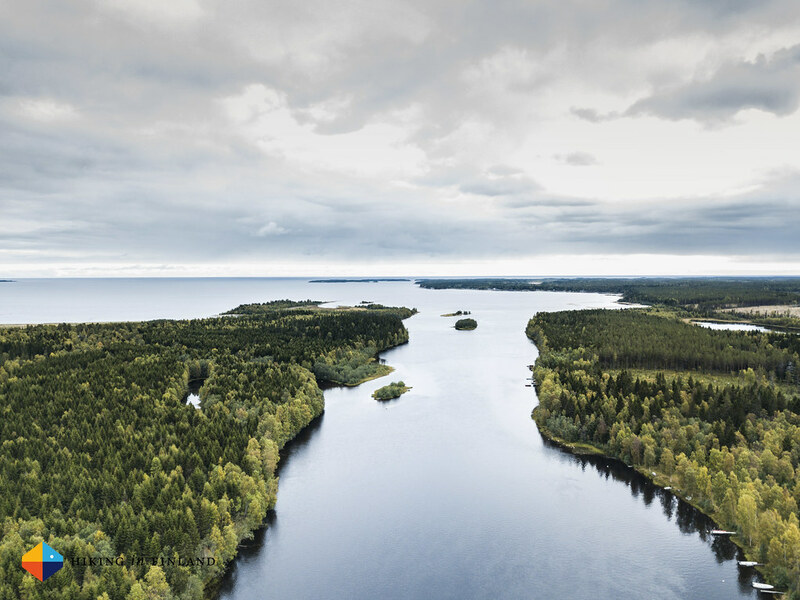 Besides, Umeå is the closest city to Vaasa if one wouldn’t take the Baltic in account! I spend my time on the boat reading a book on the Kindle App and watching Youtube Videos while drinking coffee and enjoying a tasty Pulla in the Café. Then, finally, we start to see the first islands and it ain’t too long until we arrive at the harbour in Umeå. 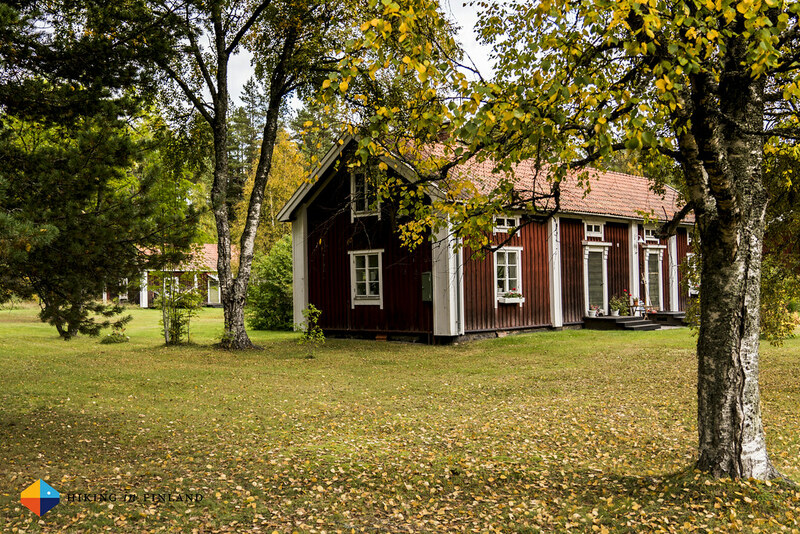 Usually I’d would have to take a Bus and then another Bus to get where I need to go, but I’m lucky as Elisabeth from the Bjurholm kommun was in town and can give me a ride to Agnäs, where I will spend the first night as a guest of Agnäs Stugor. 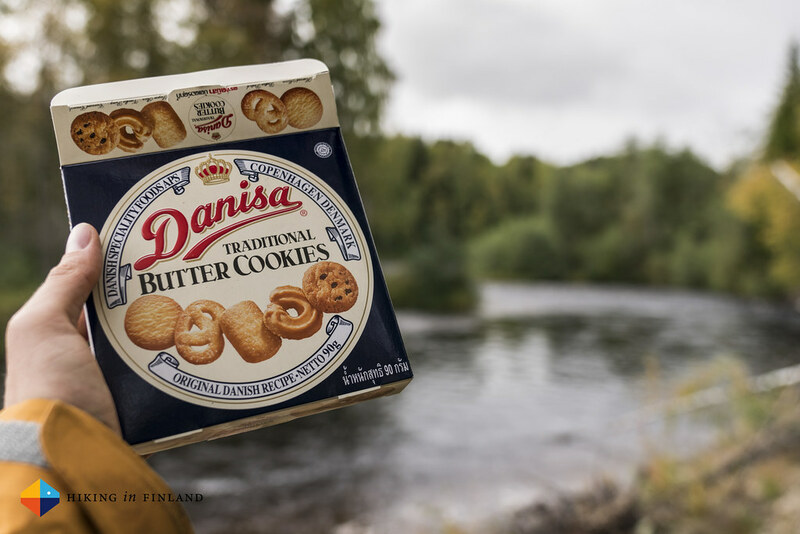 I have a own cozy cottage where I roll out my quilt, boil some water and eat one of the meals I brought, along with an Astronaut ice cream - because the sooner that food bag gets lighter and smaller, the better! As I lounge around on the sofa I realize I forgot to bring my Powerbank, which isn’t a smart move - I need it to keep the phone charged as I need it for flying my drone. Ah well, I’ll make it work, I think, and then head to sleep after a final hot shower. It’s a misty morning as my alarm rings at 6:30 am and I get up. 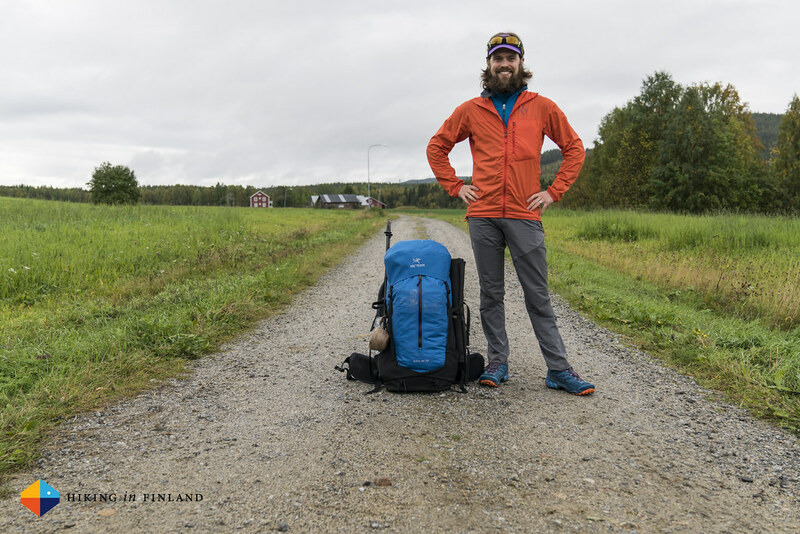 I boil hot water in the kitchen for coffee and Müsli, pack up my backpack and then am waiting outside for Claudia, who works for the Bjurholm Community and will drop me off at the start of the trail as she has business in that direction that morning either way. It’s a perk to not needing to stand and wait for a bus up North, which makes the whole logistics part a wee bit easier. 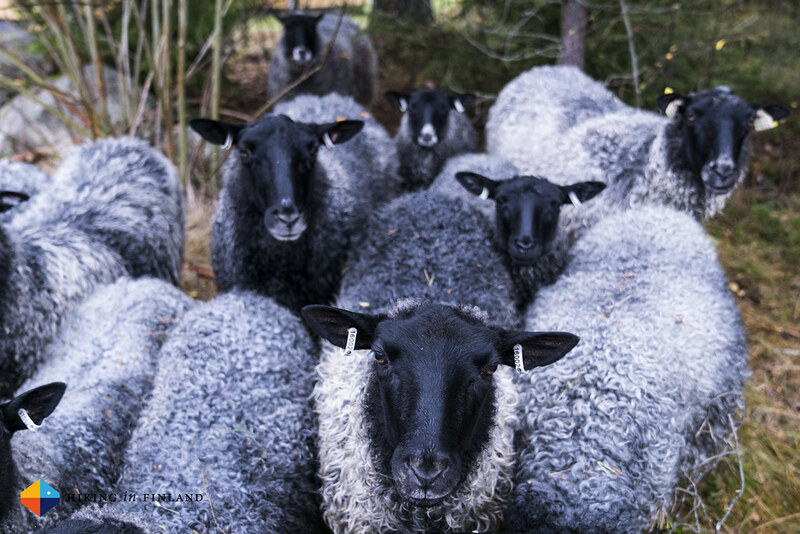 I drop off the key to my cottage, say bye to the sheep and then promptly Claudia arrives and we start the ride to Örträsk. The road is very scenic and sometimes I’m almost asking her to stop the car so I could take some photos, but then I re-consider and just let her drive. 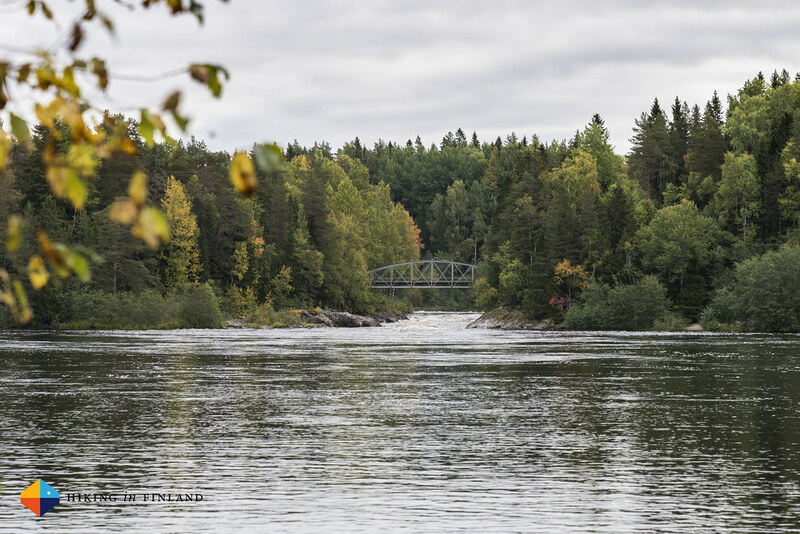 After some 45 minutes we take a turn and I already see the Öreälven river. A minute later she backs up into a small road and tell’s me “We are here!”. 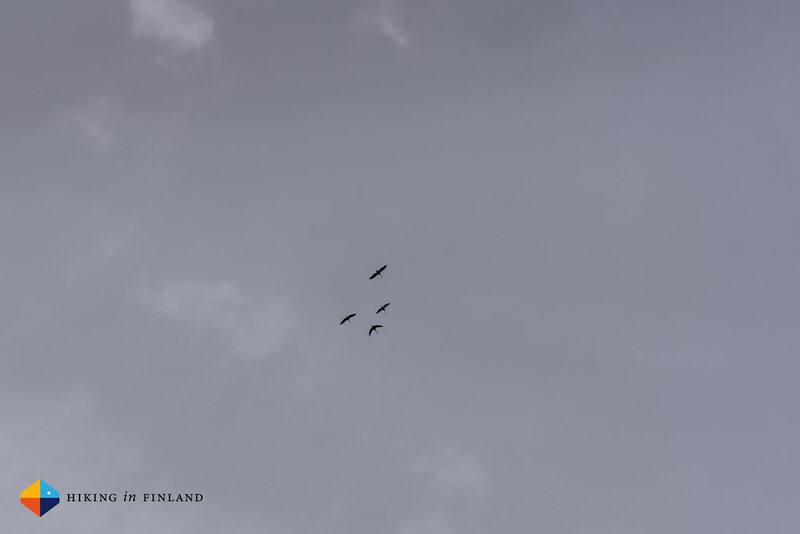 The sky is grey and I much rather would be sitting in a warm car or Café, but hey - lets get started! 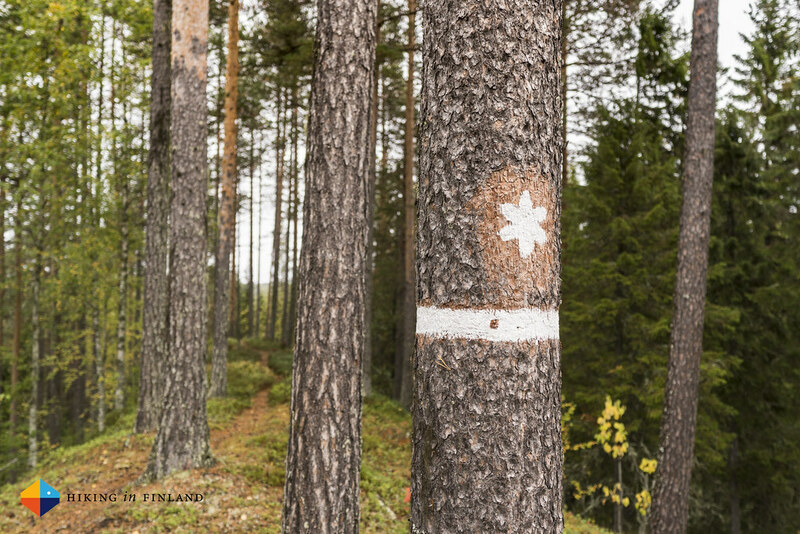 The sign shows the way, and up here in the Bjurholm community the trail is superbly marked - sometimes every tree has a red or orange dot! I walk two minutes along the gravel road, and that were exactly the two minutes my shoes were dry on the trail: I make a turn down to the river and after six steps through the high grass my shoes are soaking wet. And then I see the river, and a not that silent DAMN! leaves my mouth: In a last minute decision the previous day I decided to not take my packraft, a decision which I highly regret that moment standing in front of this river. Swiftly it floats past by me, and I picture myself sitting in my packraft and just leisurely floating the river down. 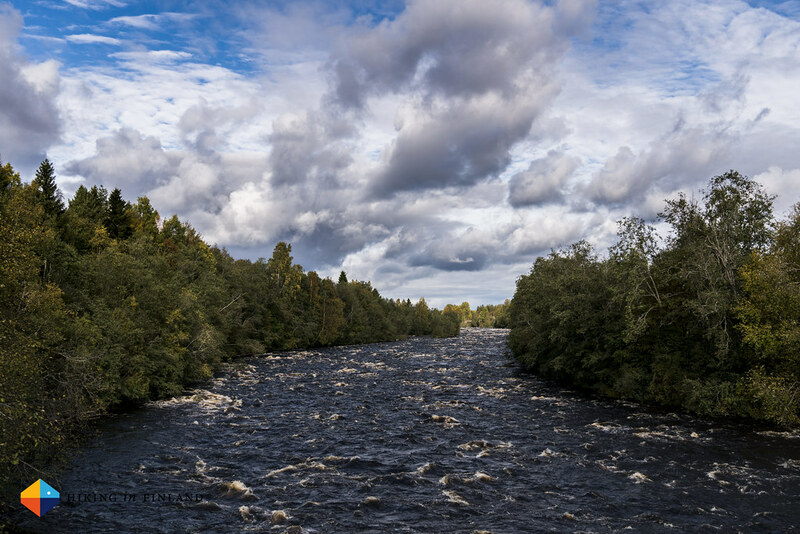 Alas, packraft and paddle are at home and I’ll need to use my two feet to get to the Baltic. 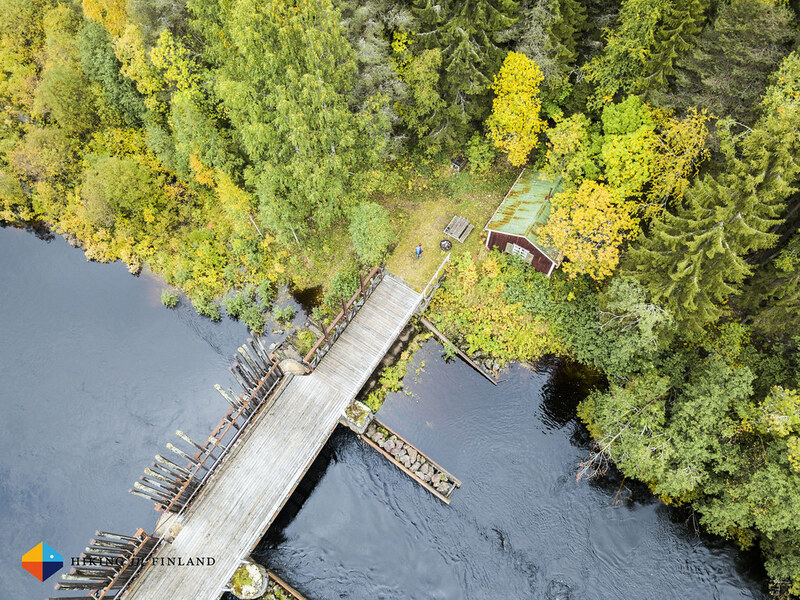 A couple of minutes later I arrive at the Floaters Dam, and the small hut besides the river is inviting with it’s beds and table by the window. 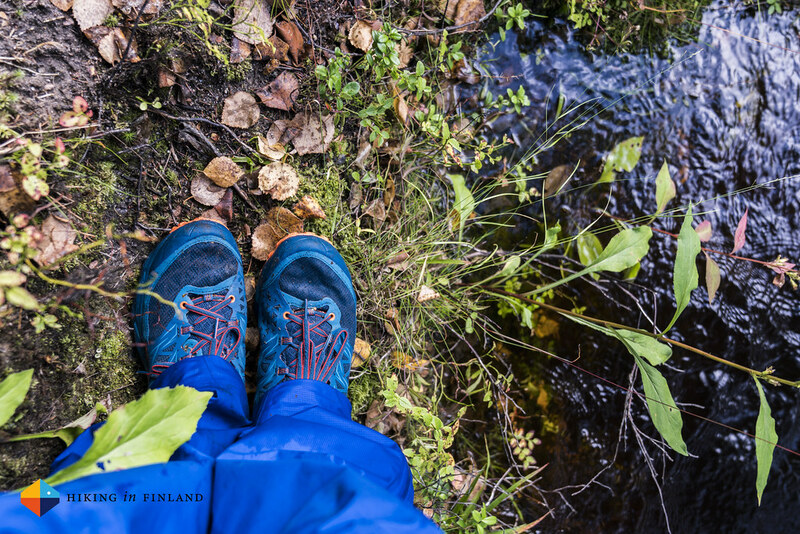 But as I plan to walk around 30 km each day it’d be a bit pre-mature to call it a day after one kilometre, and so I shoulder my backpack and enter the wild forest along the Öreälv river. And wild it is: The narrow path is never far away from the river, which runs next to me. Sometimes I need to back-track because parts of the trail are so deep under water that I rather look for a dry way around it than trying to jump over it, other times the trail is climbing high up a steep shoulder of a ridge and should one lose the footing one might end up with very wet pants, standing in the river. 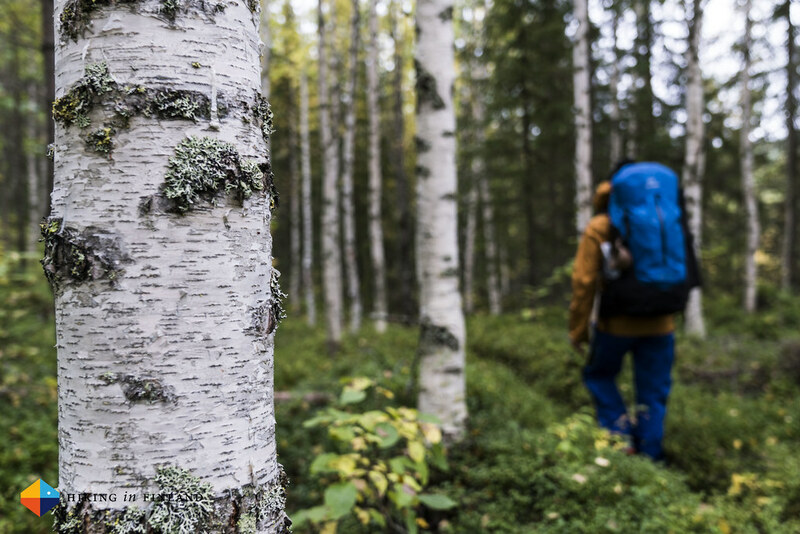 These sections will not present any problems for an experienced backpacker with a light backpack, though if you haul 20+ kg through the forest on your second or third trip you might feel like you’ve been presented a real challenge. 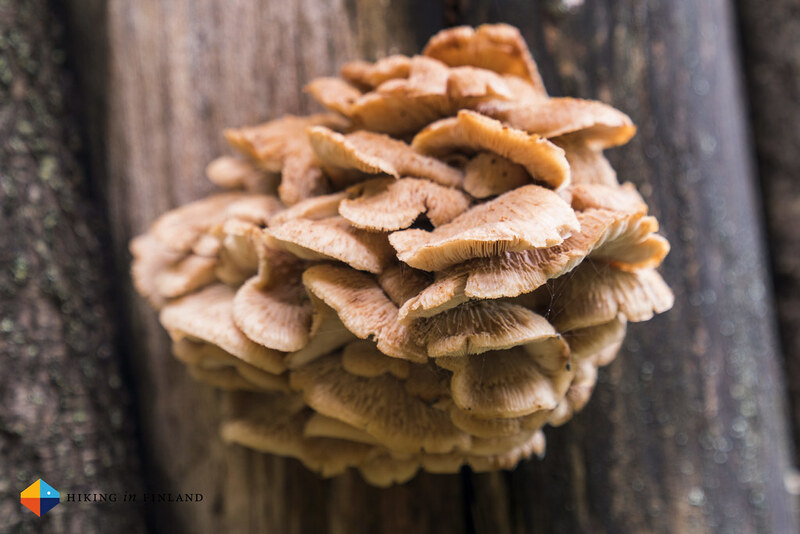 As it is autumn - PRIME AUTUMN, to be correct - the Mushrooms are in abundance along the trail. 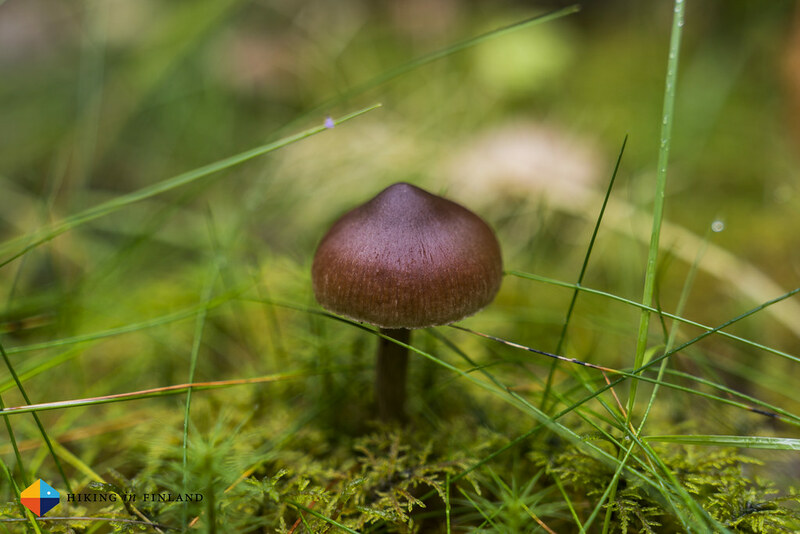 Small, big, colourful or inconspicuous, edible and poisonous - there’s so many of them that at some point I gave up to document them all. And then something unexpected happens: The sky clears up and the sun shows up. 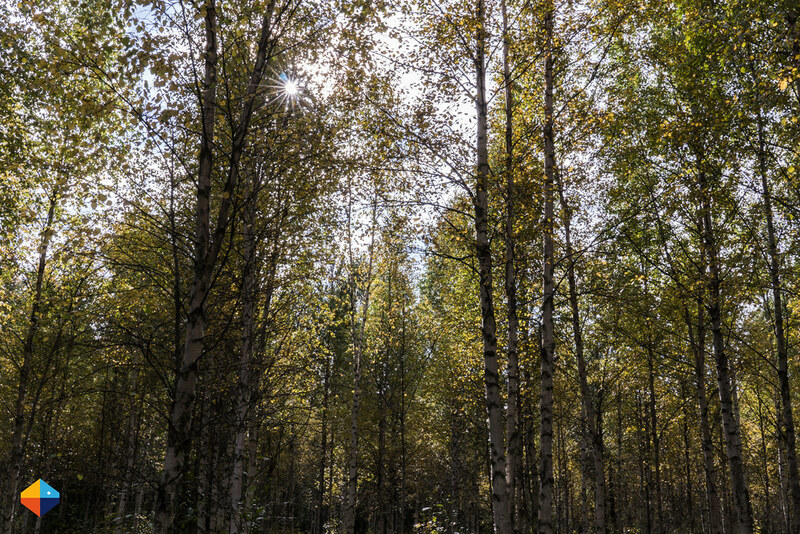 I rejoice, shed the hardshell and enjoy the golden light finding it’s way through the leaves of the birches whose leafs try to match the colour of the sun. 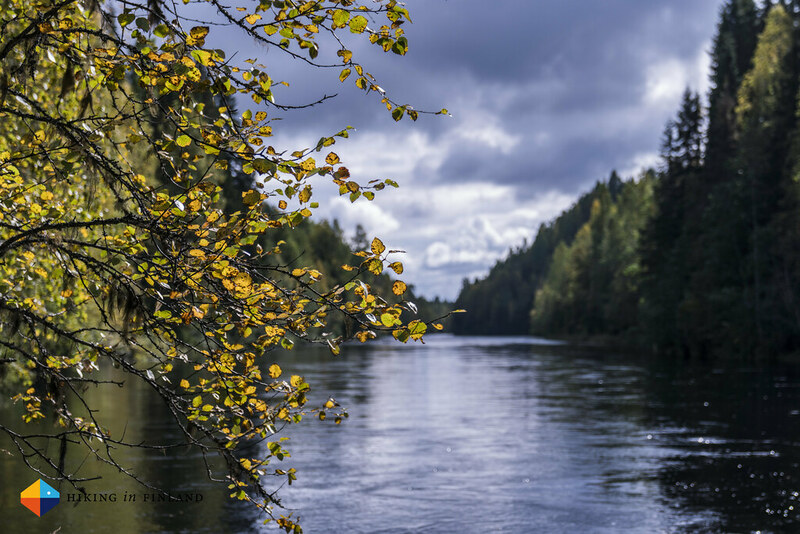 The blue sky appears over me and the green, yellow and orange forest, while the dark river continues to flow never-ending towards the Baltic. “Ah, if I’d just had my packraft along!” is a thought I more than once utter that day. 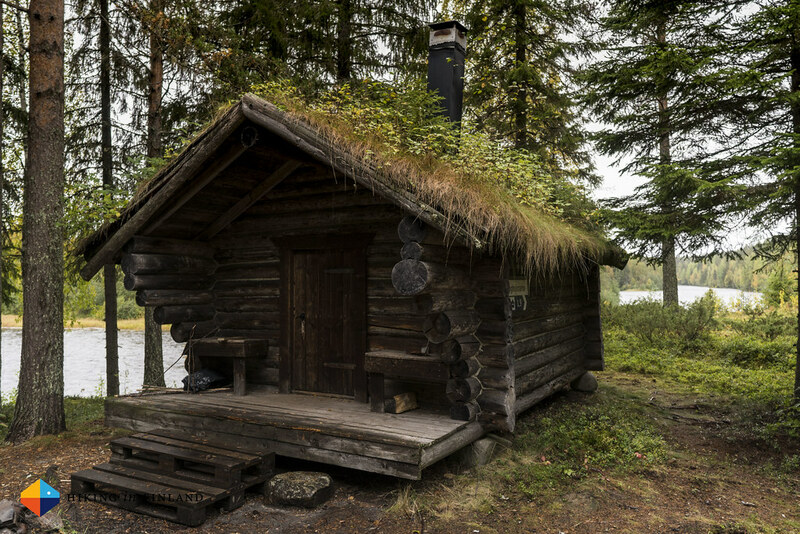 I pass smaller rapids and the most lovely little cottages and simple lean-to shelters. Water for drinking is never far away - just hold the Katadyn BeFree into the river, screw on the lid and drink! 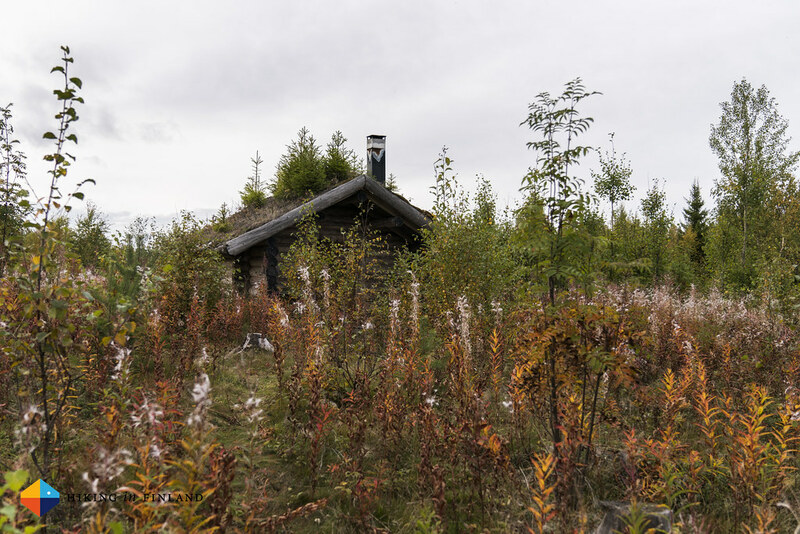 I hike at a for me slow 3 km/h and at around 17:00 o’clock reach the Näslandsforsen Hut, a lovely cabin with a green roof, not far from the river, plenty of wood and a large sleeping platform. 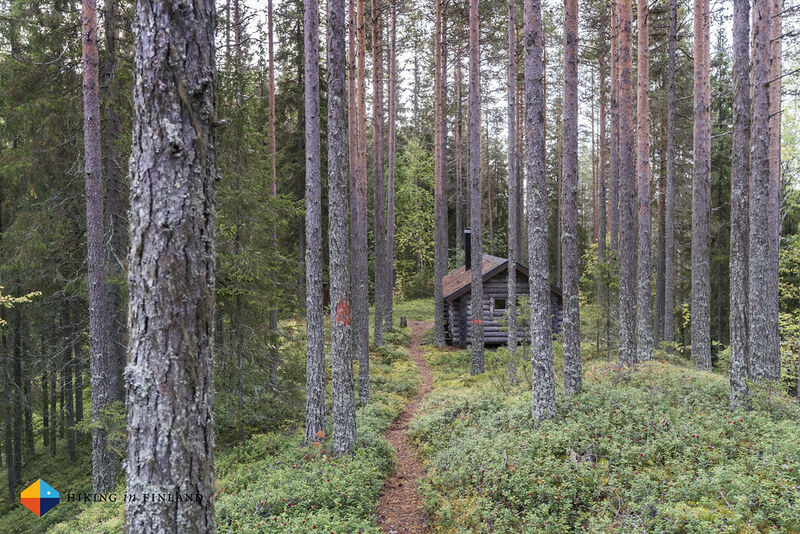 While I planned to sleep at the Mariebäck Hut I decide to stay here, and quickly set up my camp, collect water, carry in wood and clean up the mess others had left before me. 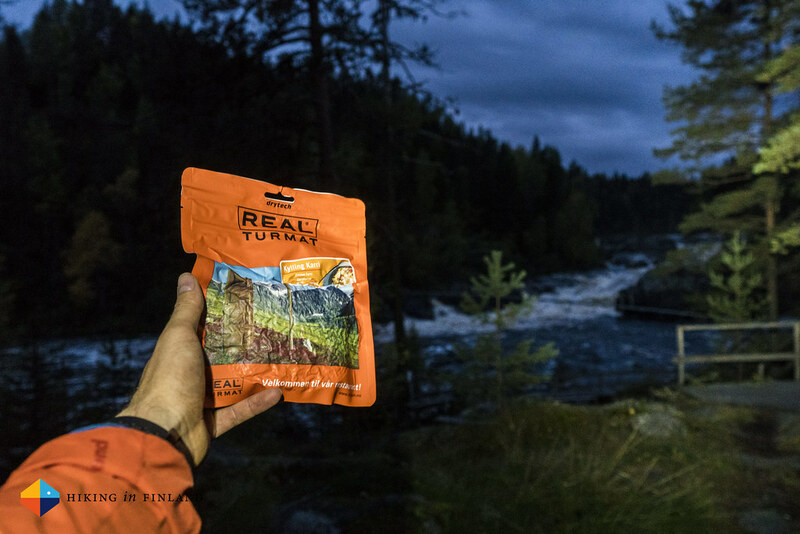 As night starts to fall I light the fire, lay on my mat and eat a Trek’N Eat Meal. 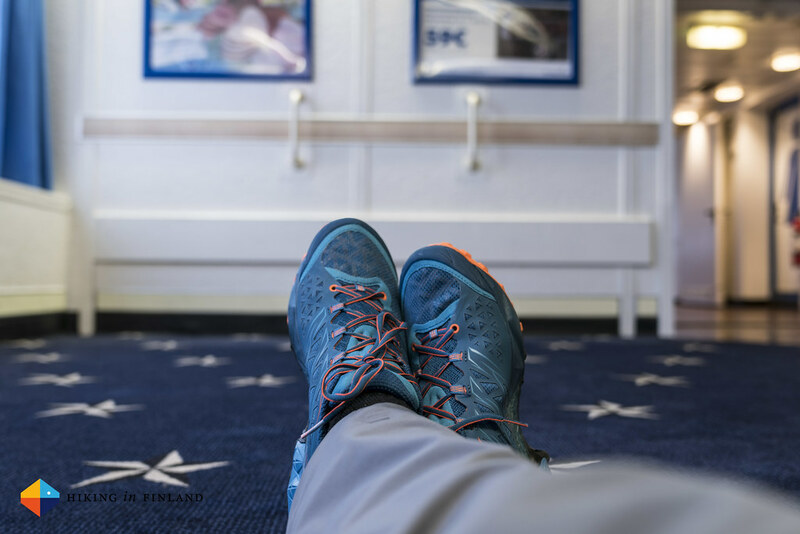 With a full belly and some 23 km covered it doesn’t take long for me to fall asleep in my warm cabin that night. 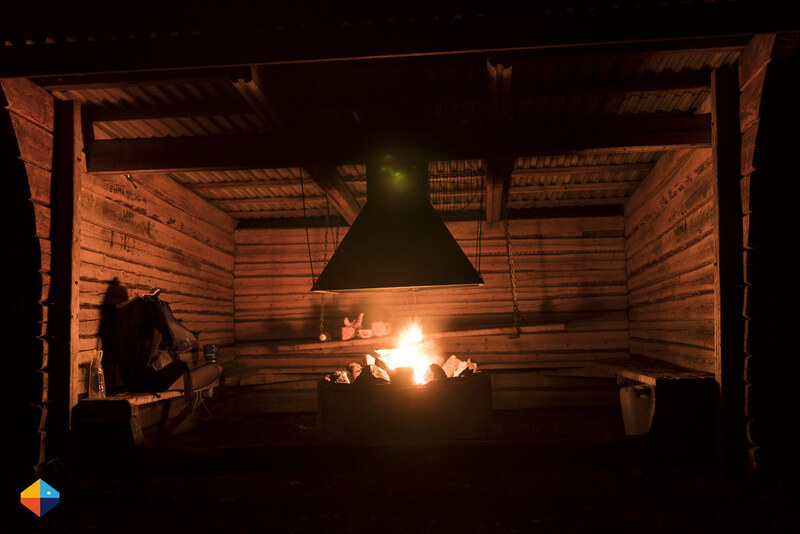 The next morning I wake up before dawn, light a little fire to get the cabin warm and boil the water I got the previous evening. 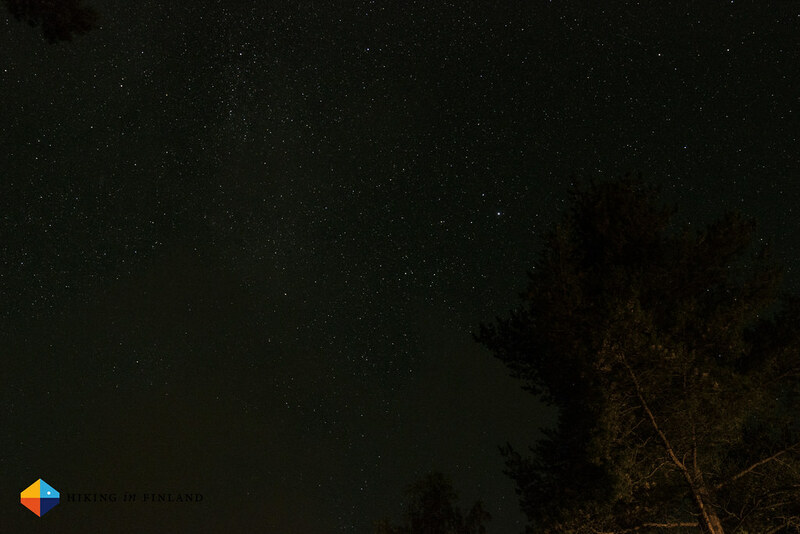 Laying under my Quilt I drink a coffee and eat a Müsli, pondering how to structure my day and where to sleep tonight. As my phone’s battery is still quite good at some 70% full I decide to hike this morning into Bjurholm, have coffee and a Kanelbullar while charging the phone back to 100%. The black & white map I have gives little infos about distance, though I reckon it shouldn’t be more than 8 km to the town. The morning starts with a blue sky but quickly clouds start to race through the sky. 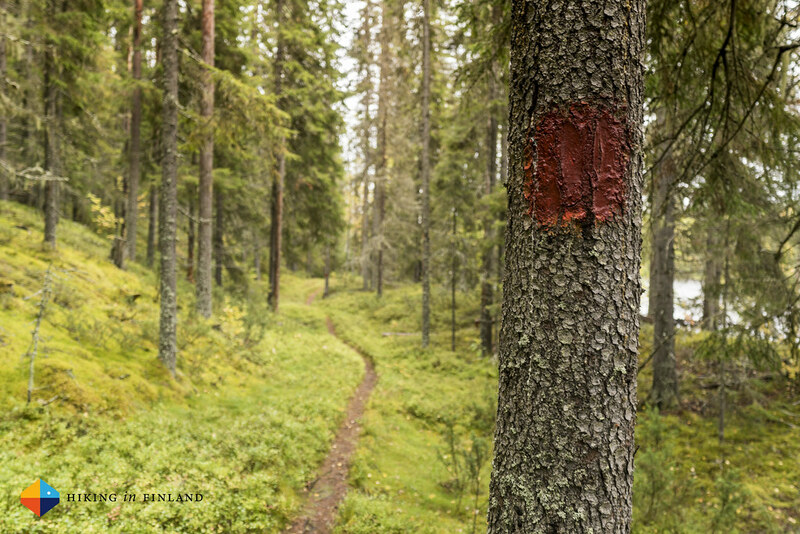 The trail is lovely again, just like the previous day it is very well marked with plenty of trail blazes. Well before 11 o’clock I walk into town and find a Café where I can charge the phone, while studying the map and drinking coffee. After an hour the phone is charged and I set off out of town again. Even if I saw the trail sign I dully ignored it and just hiked down to the river, just to realize after a while that I lost the trail. 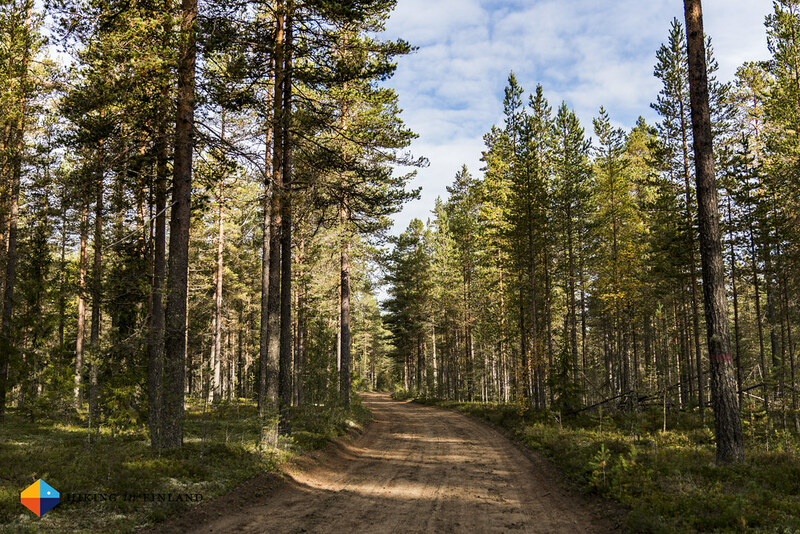 Happily I found a dirt road which led into the right direction, and after some time of uncertainty I reach the trail again. 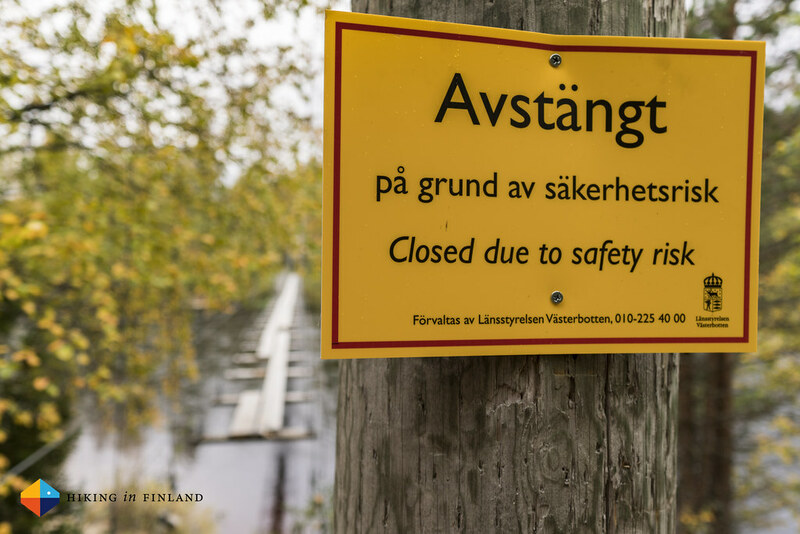 At Lagnäset there’s a hanging bridge - though sadly it is closed. Claudia from the Bjurhom kummun later told me that there will be a new bridge coming in the future. 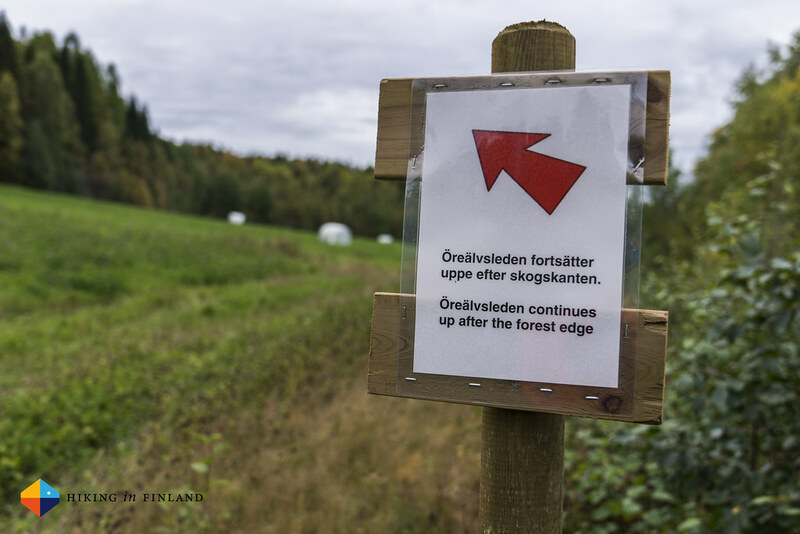 I follow the sign and soon hike up a slope which is like a yellow-golden tunnel of Birch-and-Rowan-Awesomeness. 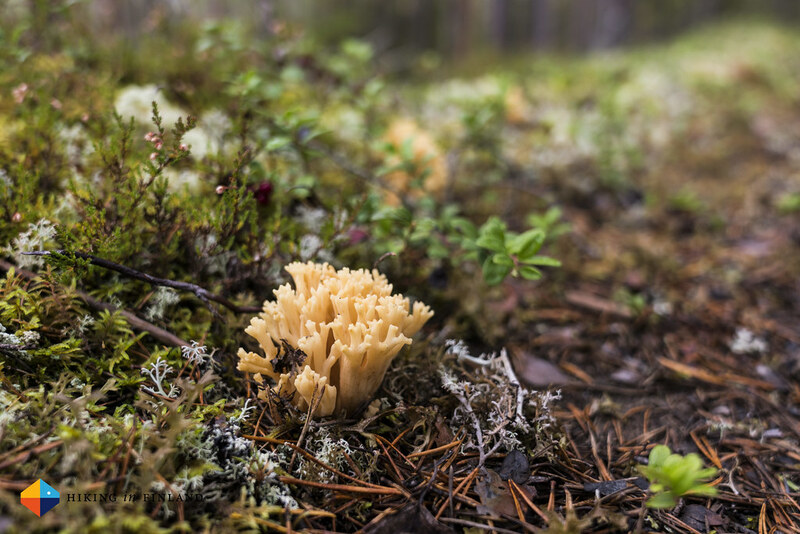 I utterly love the colourful forest around me and the kilometres go by just easily. 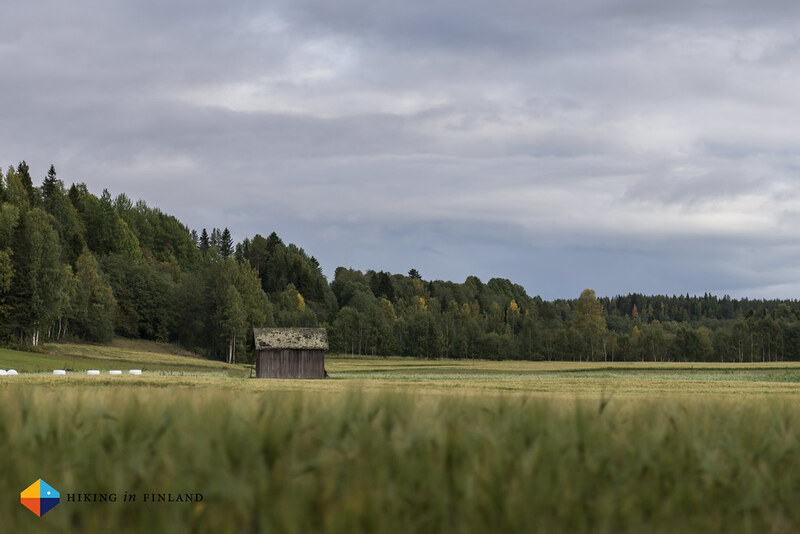 I pass several huts and rest places to which roads lead, but the only person I saw that day was a woman picking berries just outside of Bjurholm. 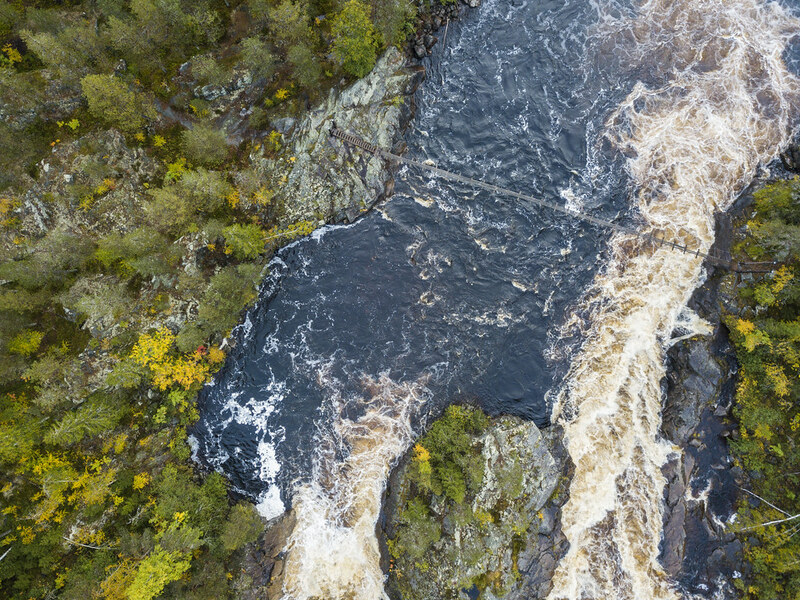 At Petnäset the river makes one of the most beautiful curves, something I tried to capture with my drone, but alas the high wind didn’t allow me to capture the frame I had in mind. Still, the underneath photo should give you an idea of how pretty it is! The scenery now starts to get more civilized, just as the river. While the day before it ran through deep gorges and I felt at times like I’d be in Lapland or Alaska today the meandering curves and the closeness to fields make it feel closer to civilization. It’s a gradual and nice change, and I enjoy this new scenery. 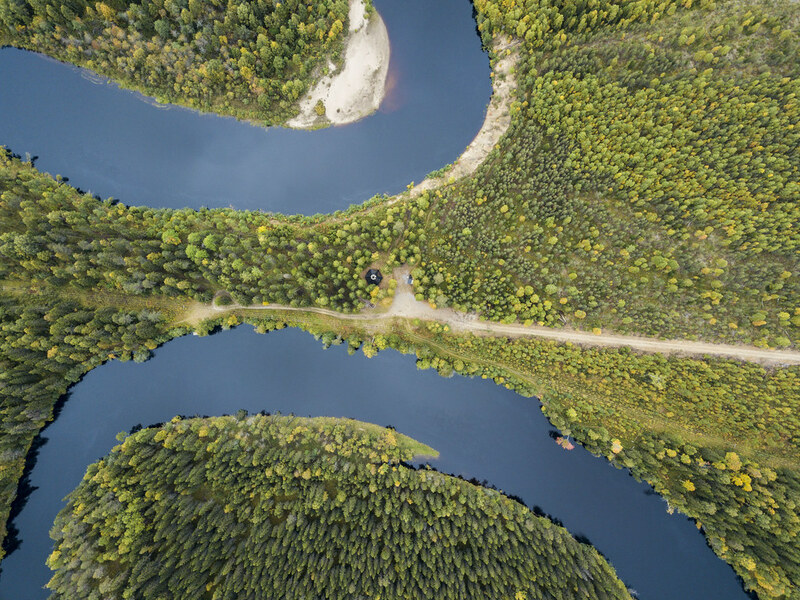 After the Petnäset Hut the river makes lots of curves, and a look on my watch tells me that I already have hiked close to 30 km. 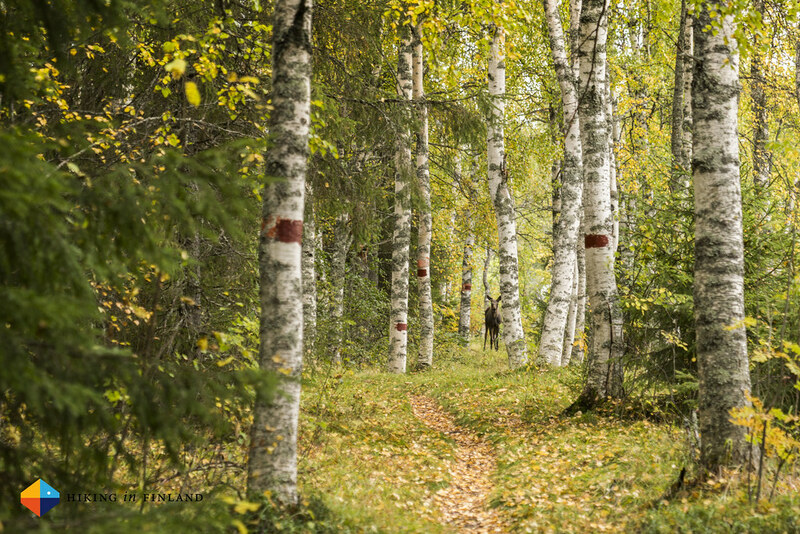 As I’m hiking along the river on along a fine trail at once a small Elk arrives. 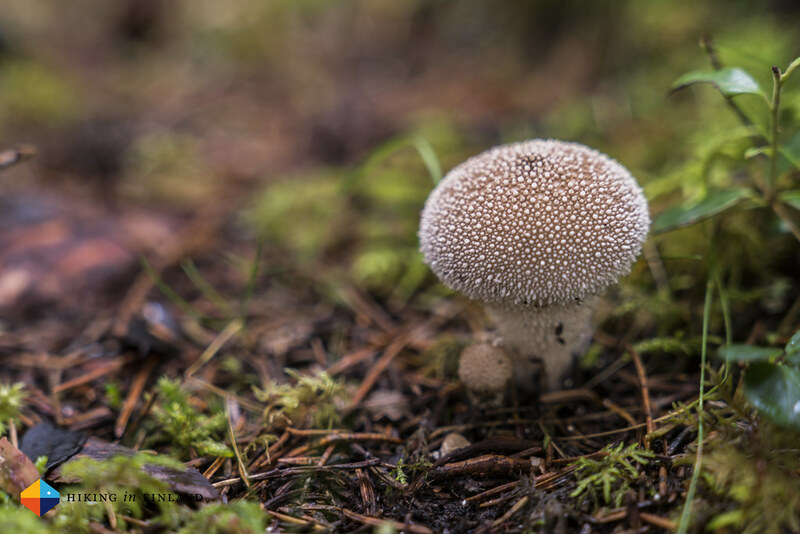 It stands there, taking a good look at me and lets me take its photo, and then turns back into the forest where I also hear its mother. 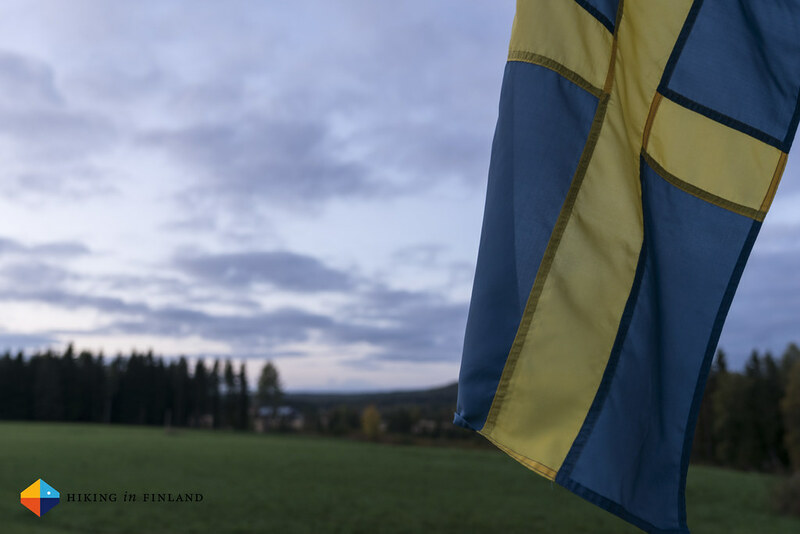 It’s a beautiful experience and gives me new power to reach Agnäs, which I do by 16 o’clock and after some 35 km. 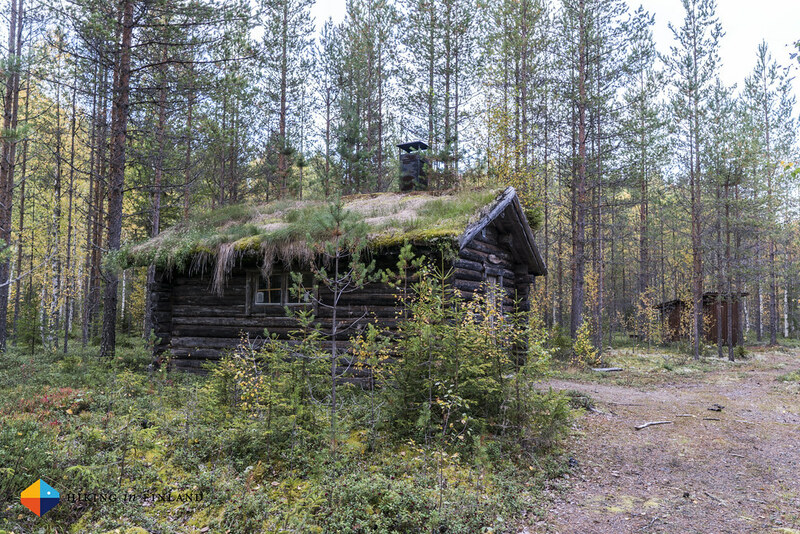 Alas, unless I’d like to stay another night at Agnäs Stugor, Agnäs doesn’t offer much in terms of scenic camp spots. So onwards it is. 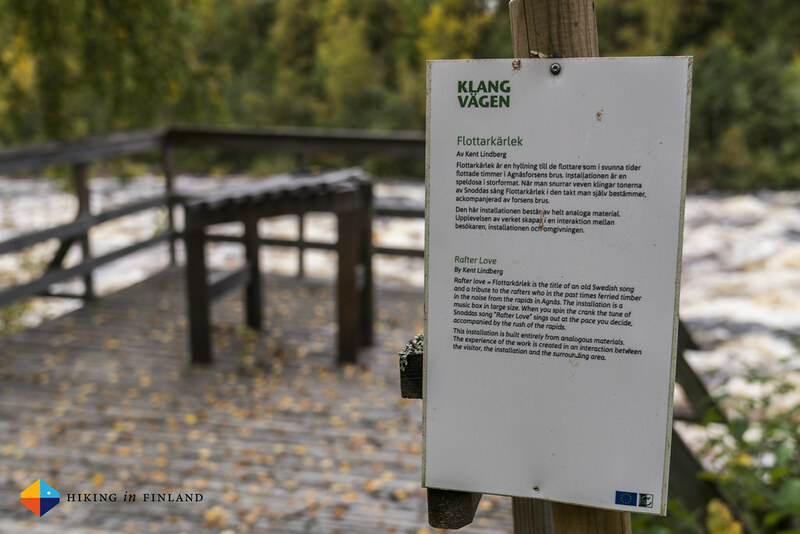 I follow a bit of the Klangvägen trail and prompt lose the Öreälvsleden trail, and after some searching I find it again and follow its signs. 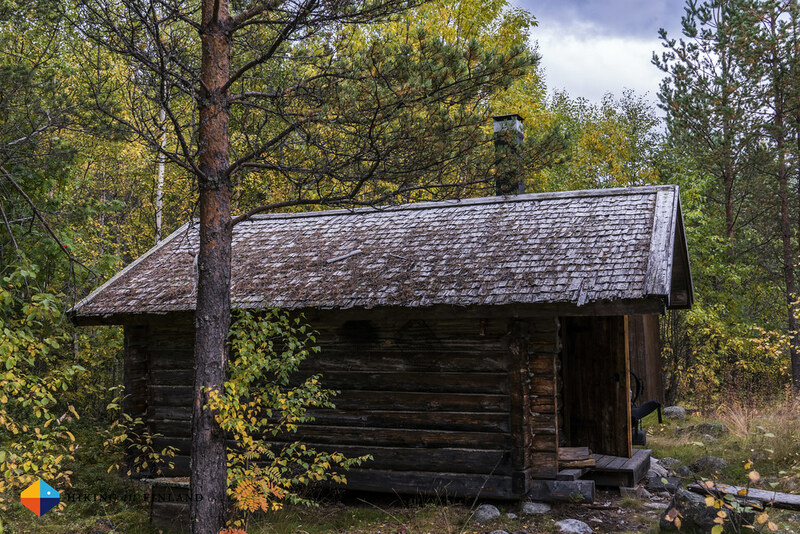 By now I really feel the distance I have hiked already today, and just wish that I soon arrive at the Storforsen Hut. That, however, doesn’t happen until 18 o’clock and some 42+ km hiked. 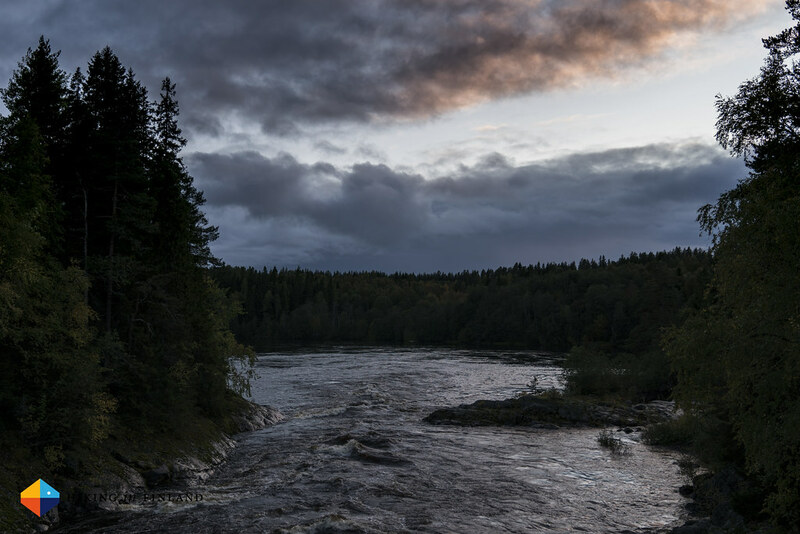 I drop my gear into the hut, which looks like it’s well visited, and go out and enjoy the spectacular sunset over the Storforsen rapids. After that it’s time for one of the tastiest Meals I have along, Chicken Curry from REAL Turmat. 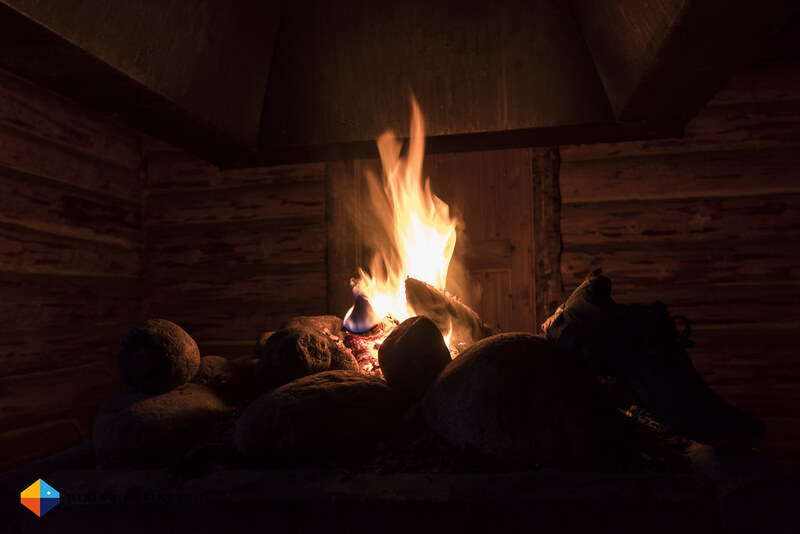 I put some logs into the small stove inside and am amazed at how quickly it has heated up the hut - it’s so warm that I soon sit just in my boxer shorts inside, eating my tasty Dinner, looking forward to calling it a night! The next morning rain is hitting the tin roof and I decide to sleep till 7 am. By the time I get out of my quilt the weather looks better and while the sky is grey it isn’t raining for the time being. I’m surprisingly feeling really good even after the Marathon distance of the previous day, and by 9 o’clock am packed up and hiking again - but before that I explore the Hanging Bridge and the rapids! 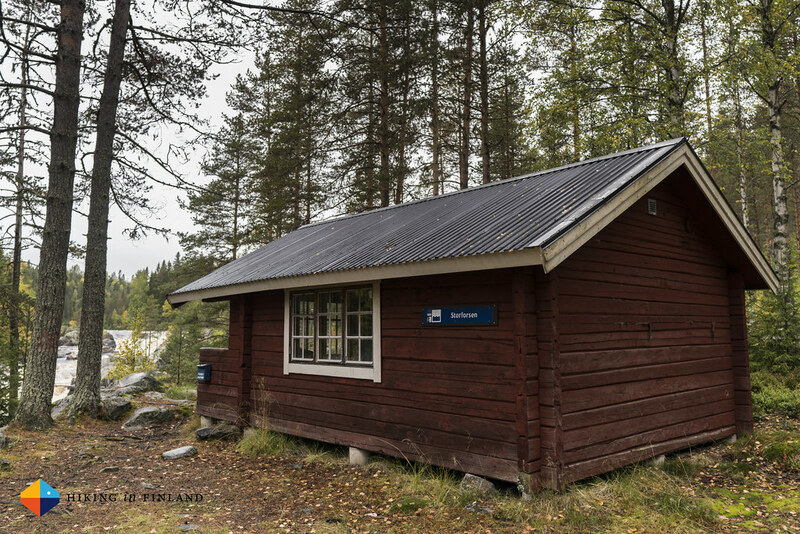 Less than four kilometres later I reach the Långholmarna Hut, and this was the last really nice hut along the trail - but this I didn’t know yet. I put down my pack and cleaned my feet in the river here - the water was easier to reach than up at the Storforsen Hut - and am wondering where I will sleep tonight. 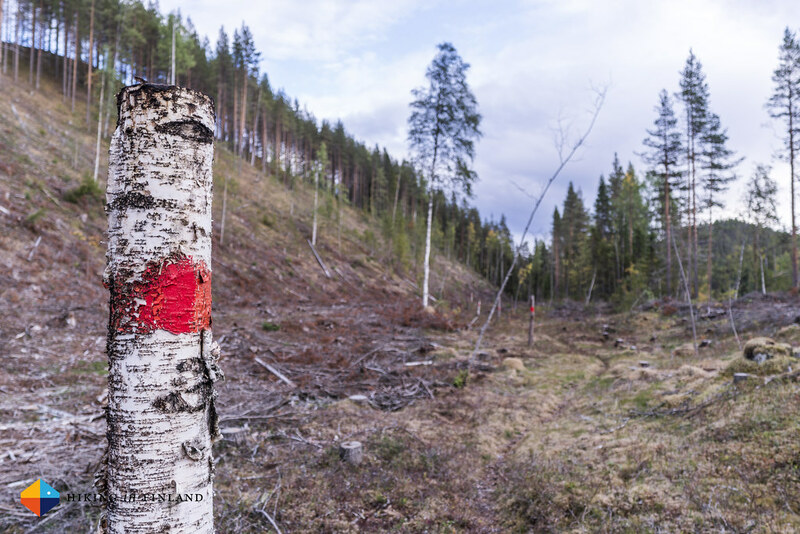 Shortly after the Långholmarna Hut I left the Bjurholm community and entered the Nordmaling community, and the difference was seen quite clearly: While there were well-established sections of trail on the southern part, there were also a lot of sections of trail where one was bush-whacking through chin-high undergrowth, searching for trail blazes and wondering if one was right, and generally the trail was not as well maintained as in the northern part. 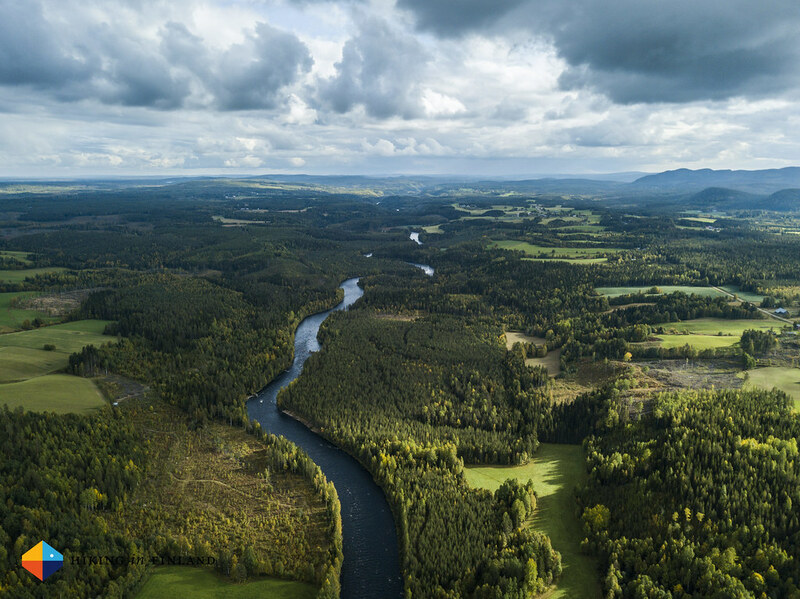 However, there were also very beautiful parts: High esker ridges which gave wide views across the landscape, colourful forests and pretty places along the river which were very inviting for a break! 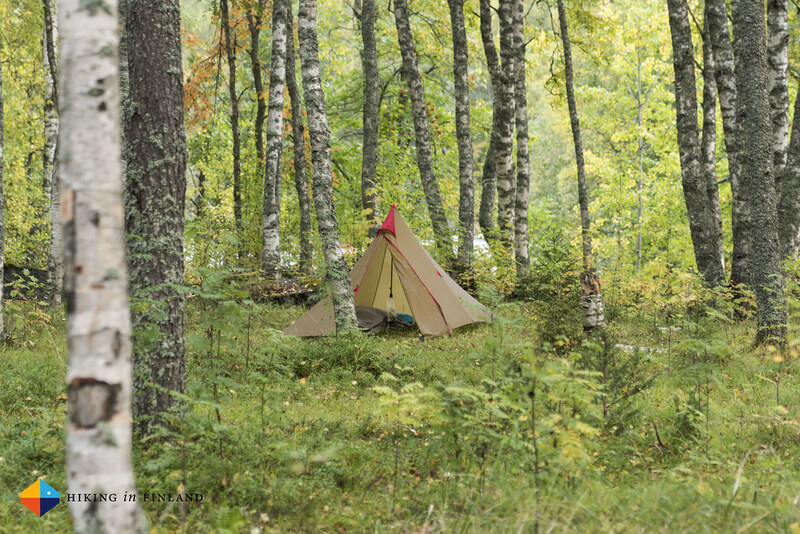 I arrived around 16 o’clock at the very nice and new camping place of the tiny village Hummelholm, and just as I was sitting down in the fire shelter the heavens opened and it started to pour down like mad. I was happy that I was lucky enough to sit under a roof that moment, and I observed the rain from the shelter, waiting for it to stop. After 20 minutes the rain passed and I shouldered my pack again, and though I rather would have stayed right there as I already had hiked over 24 km I knew I needed to push on till Torrböle and the Lean-to there. 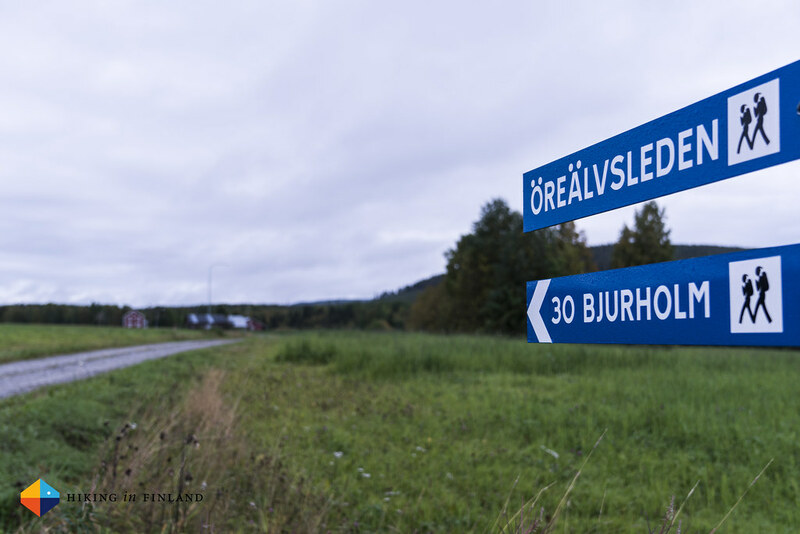 I hiked on the street through Hummelholm and happily left the asphalt road behind at the end of the village. 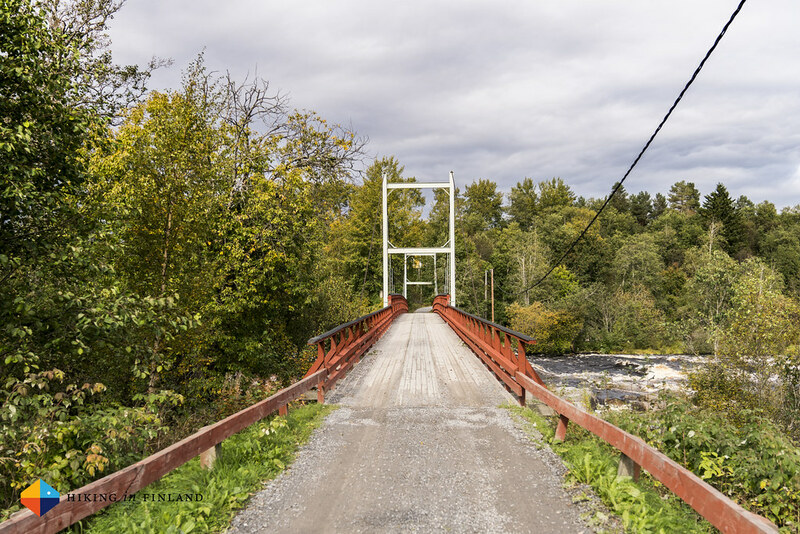 Here the trail was super-well maintained: Trail blazes in regular distances, little benches along the river, bridges and even duck boards over especially swampy sections. 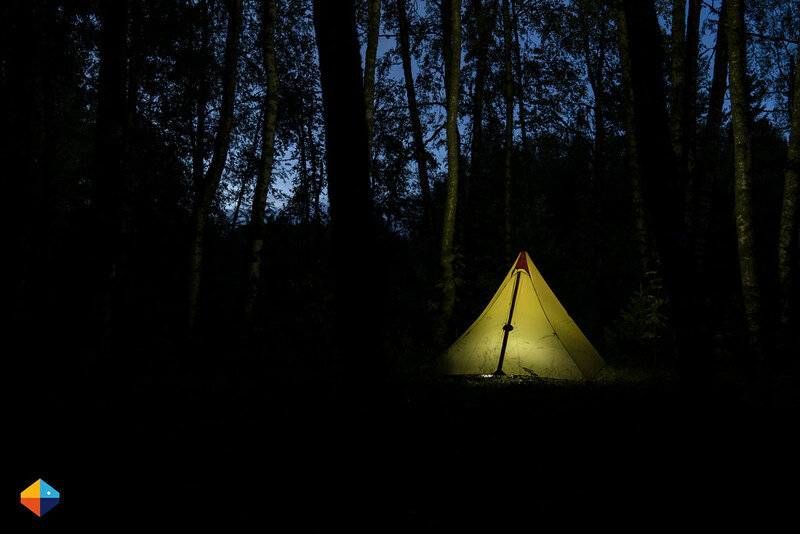 The trail released me into a scenic field and I knew that I now was close to my intended camping spot. 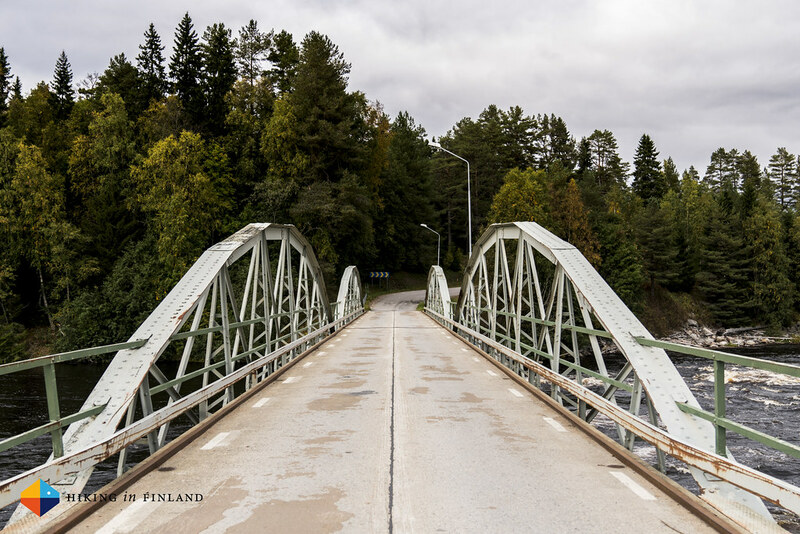 What I didn’t knew was that the signs for the trail in the tiny village of Torrböle were well hidden, and so I was searching for 45 Minutes for where the trail should continue, until I finally saw the right street and the bridge over the river. However, the confusion of signs and marks on the trees on the other side did cost me another 20 minutes until I finally found the lean-to shelter. Slightly annoyed I pitched the Hapi Sil, got water and built up a fire in the lean-to. I didn’t linger to long around the fire and soon went off to my shelter to catch some sweet dreams. 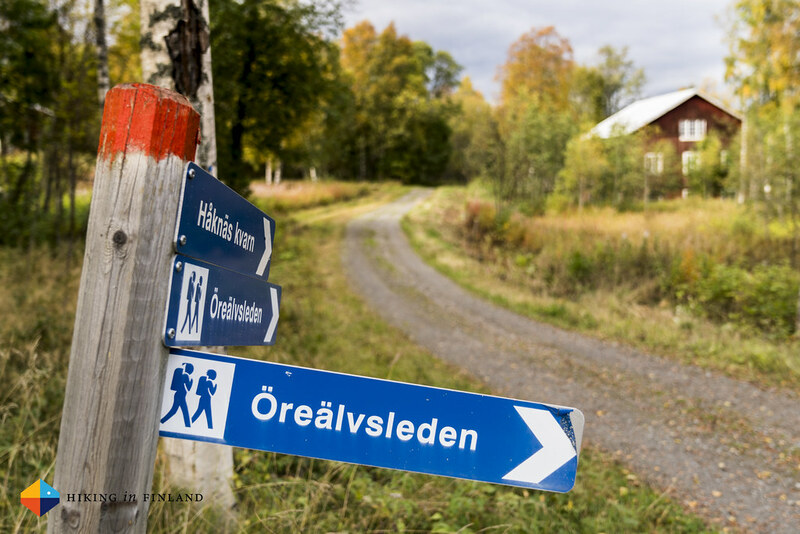 I had some 25 km left until the end of the trail, and as I needed to still get to Nordmaling to catch a Bus back to Umeå I wanted to be well in time. As the birds started singing I was up, and by 8 o’clock I was back on the trail. Sadly the confusion of which direction to go was still the same as the day before, but after some bullish following of the compass bearing I found the trail. 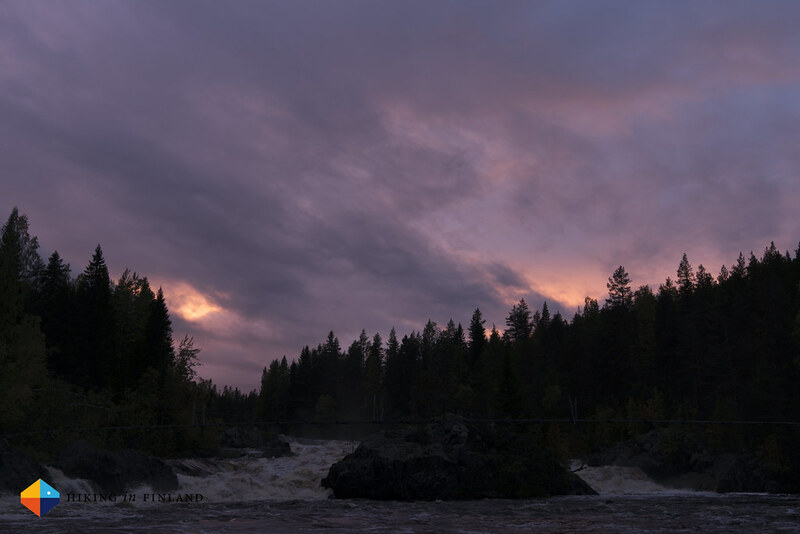 Along several nice rapids for packrafting and fishing I followed the river towards the Baltic, happy to reach it but also sad that my solo hike would soon be over. It didn’t take long and the trail was following pretty much exclusively forest roads and even asphalt roads. 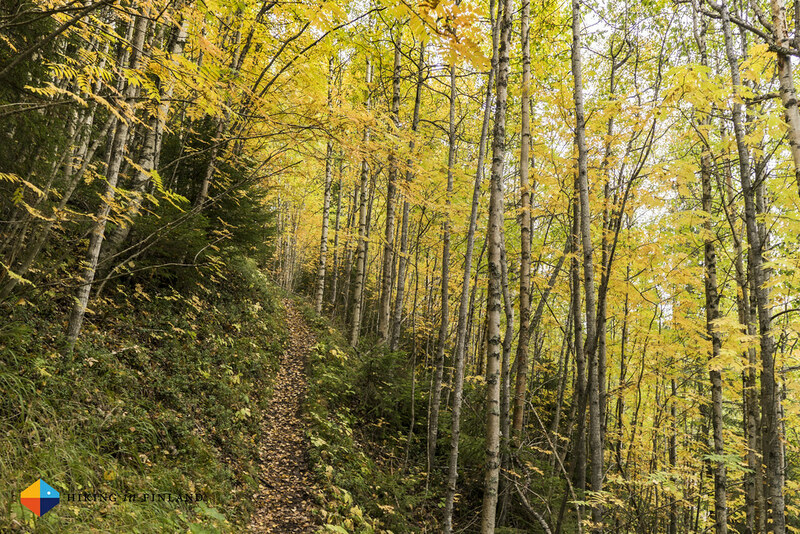 There were some enjoyable sections of nice, narrow forest trails intertwined along the way, but of the 25 km I hiked that day over 20 km were on forest roads and asphalt roads. 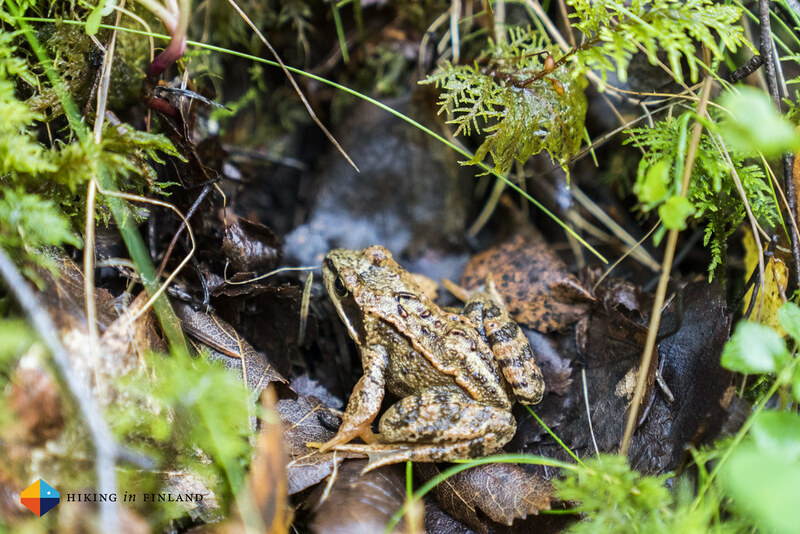 That made the hiking not very nice - I very much prefer soft forest paths or mountain trails for moving in nature. It was thus quite nice to finally reach the end of the trail in Alvik. I could see the Baltic in the distance, and after having hiked so many kilometres on roads my feet were hurting. 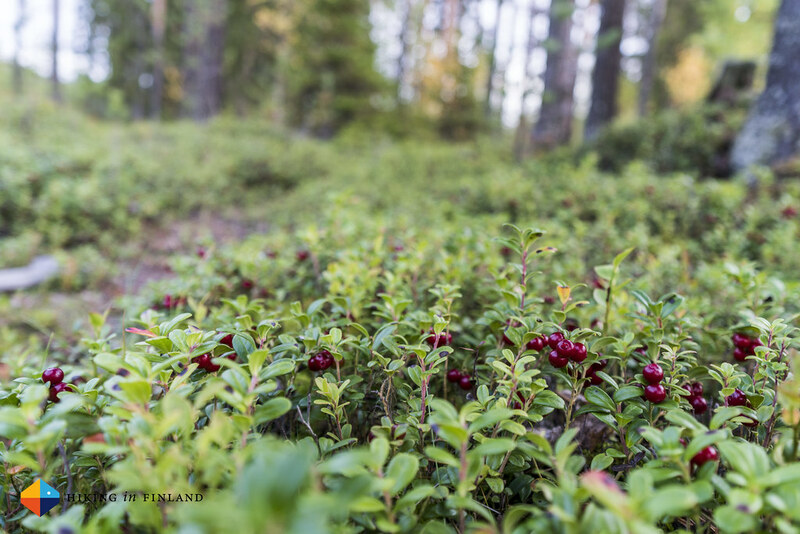 I had luck, though - Claudia and her family were picking berries close by and would pick me up and give me a ride to the Bus and Railway Station in Nordmaling! 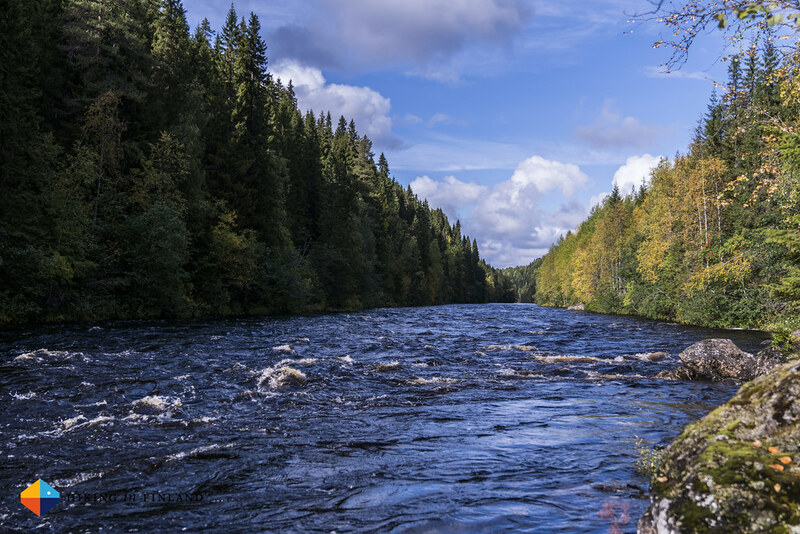 So I got out of my shoes and enjoyed the feeling of gravel and grass, while looking on the river Öreälv and how it now slowly was reaching the end of its journey, a journey which I now had accompanied for 124 km from Örträsk till here! 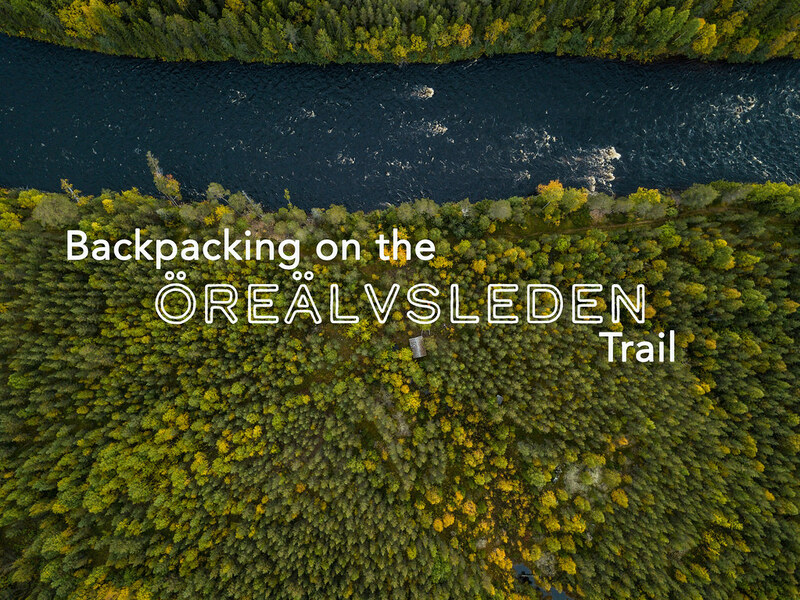 The Bottomline is that I highly recommend the Öreälvsleden trail. 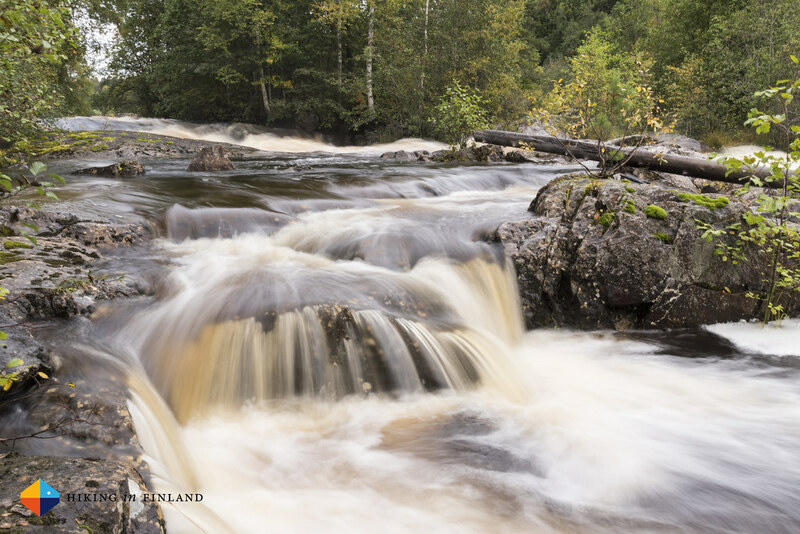 I enjoyed the wilderness of the northern part which is just a couple of hours away from Umeå, which makes it very easily accessible. I want to visit the trail again - and take my packraft this time! 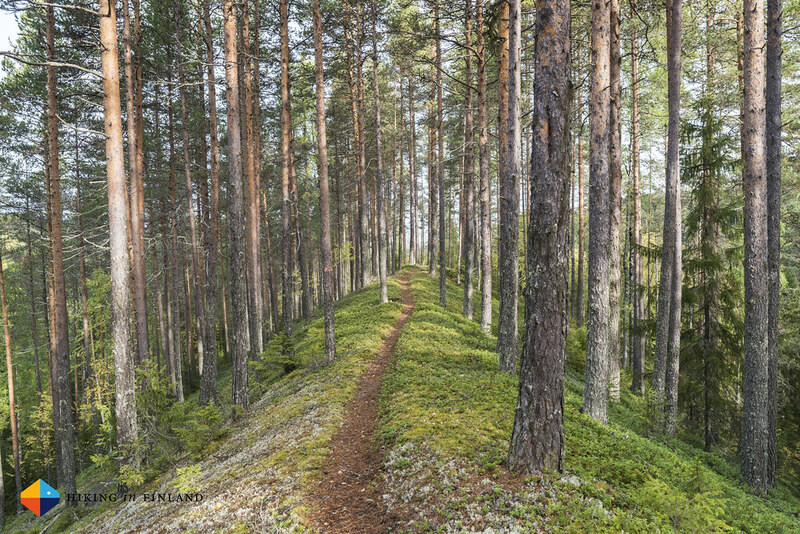 Hence I would recommend if you’d like to visit the trail to take a packraft and hike from around the Tallbergsbroarna North to Örträsk and then paddle back down - that way one can explore the best part of the Öreälvsleden Trail and one avoids the not so nice hiking on forest roads. 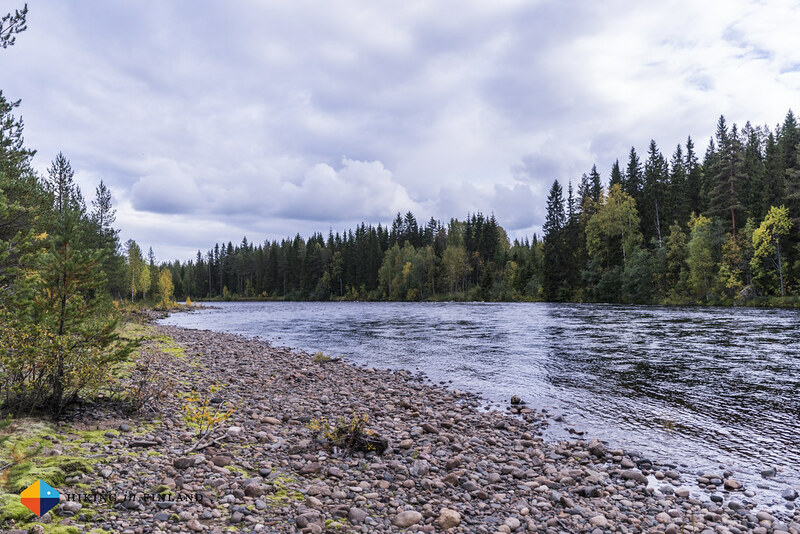 If you’re into (fly) fishing you also should take a rod with you, as there’s lot of places along the river where you can try your luck. You can even order a permit via your cellphone! Finally, make sure to check out the Flickr Album with over 150 photos from along the trail to get an even better impression of it. 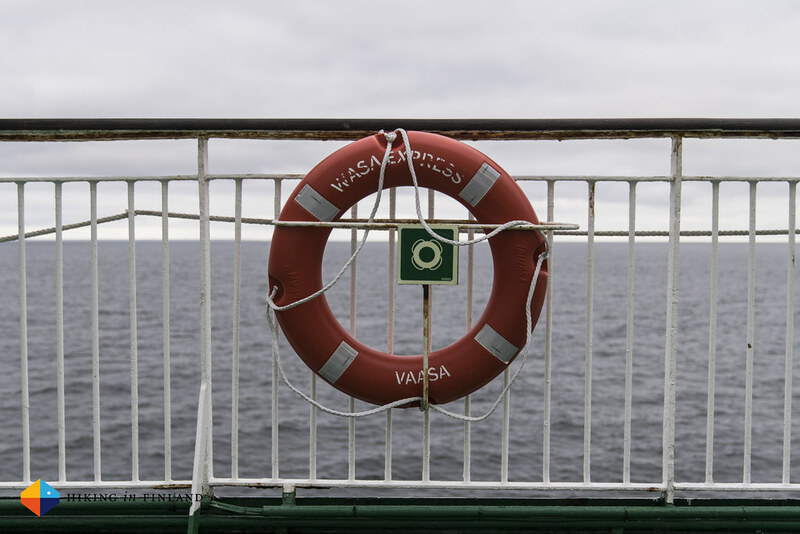 To get to the start of the trail you’ll first need to get to Umeå - if you’re coming from Finland hop on the Wasaline Ferry like me and enjoy the scenary on deck when the weather is good. 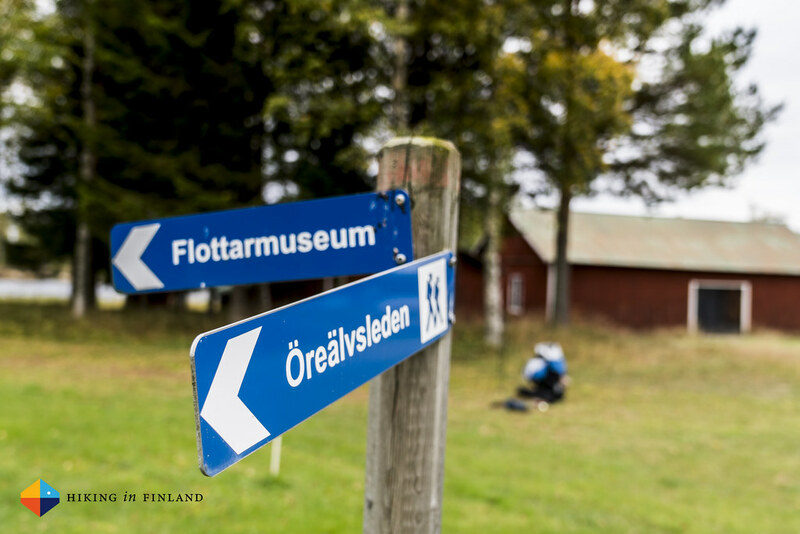 From Umeå you can take either a Bus to Bjurholm or Agnäs to spend a night indoors before you hit the trail, or head directly to Örträsk and camp at the lake or at the Floaters Dam. 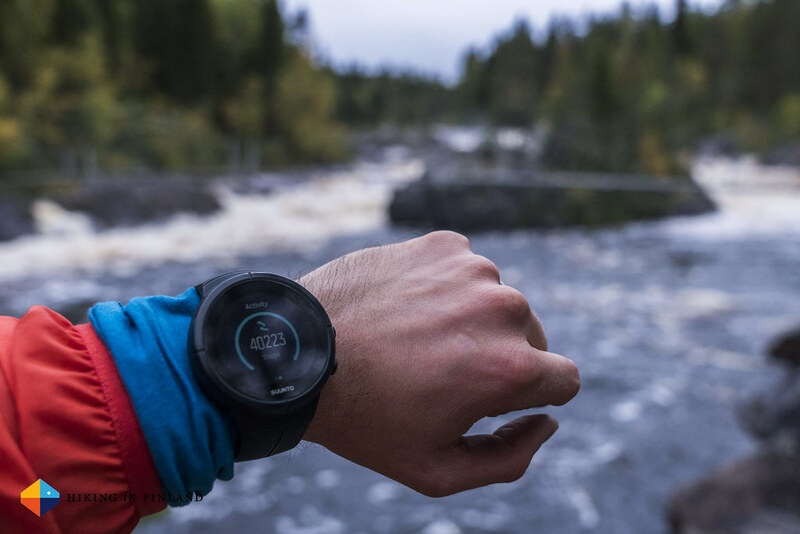 Resrobot helps you plan the trip with public transportation to the start of the trail and back to Umeå when you have reached the Baltic. In Umeå I slept at the YMCA Hostel which I can not endorse this time (unlike previous times, when it has been fine). I’d recommend finding a nice AirBnB or stay at one of the Hotels in the city. 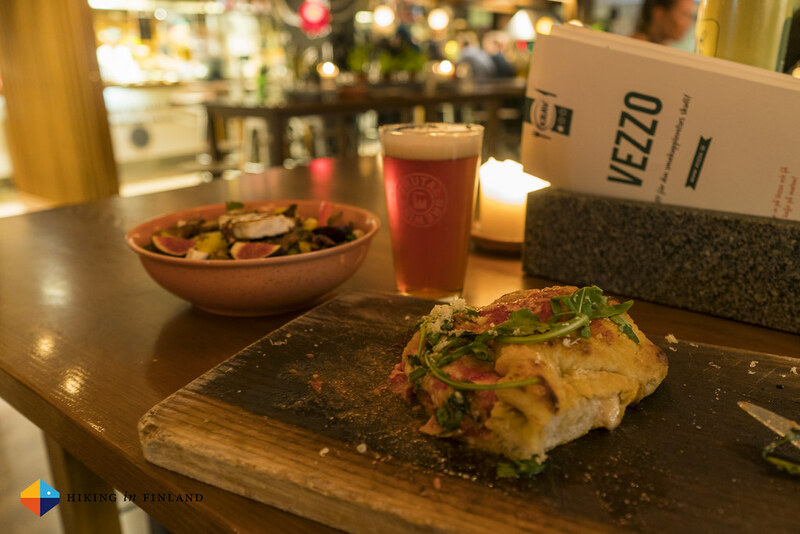 I ate at Vezzo and it was DELICIOUS, the Calzone and the Goat-cheese Salad are highly recommended and they also have some tasty local beers on tap. There’s other nice places around, best is you use Tripadvisor when in town to find something which suits your wants. 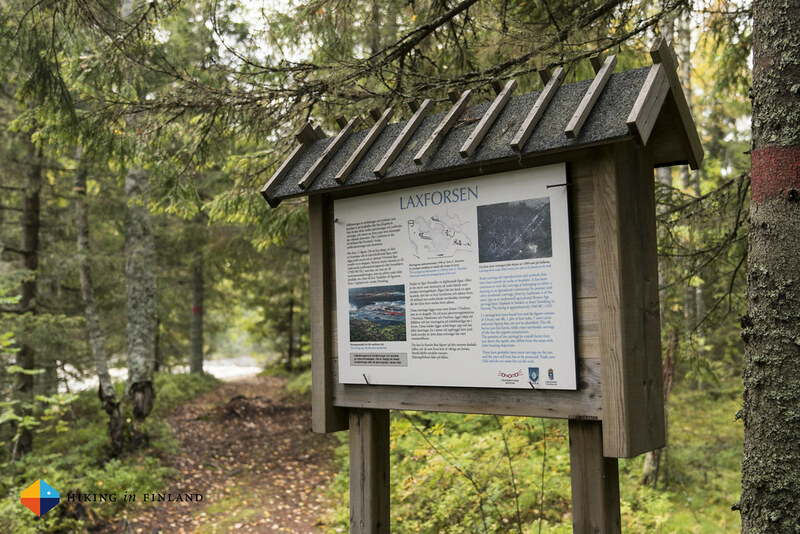 There’s a Swedish language Hiking and Fishing Map of the complete trail, but it isn’t very detailed and also slightly outdated. You can see it here. 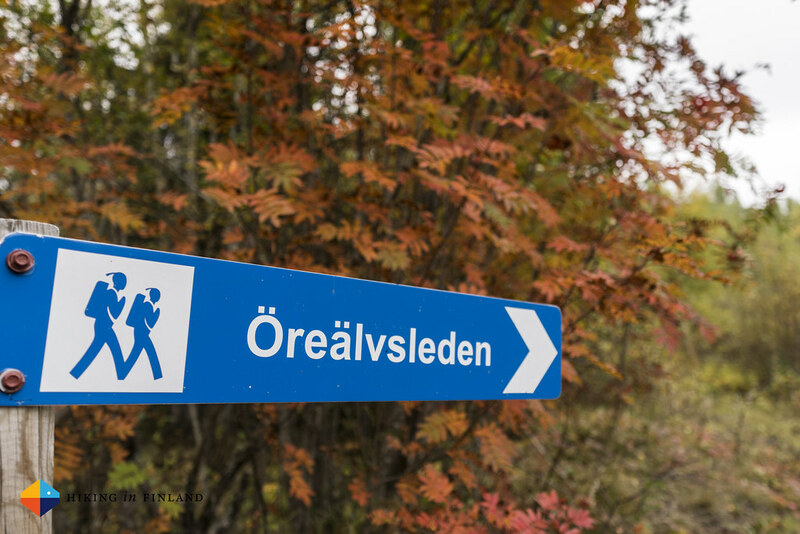 For more Infos on the trail visit the Öreälven River Trail website. Because of the camera gear, drone and the forecasted rain I opted to use the Arc’teryx Bora AR 50 Backpack because it was slightly larger in volume than the Osprey Levity 45 which I planned on using. I slept under the Vaude Alpstein 450 quilt on my trusty Therm-A-Rest NeoAir XTherm. I slept one night in the Locus Gear Hapi Sil and had the Ruta Locura Yana Poles along, water was boiled with the Jetboil MicroMo. I used the La Sportiva Akyra for the first time and they were OK, as it was very rainy the shoes stayed wet from start to finish (never mind the 10 minutes the first two mornings where I managed to dry them a wee bit). Other gear were tried & trusted favourites: The Arc’teryx Satoro AR Zip Top as a long-sleeve, over which I wore the Black Diamond Coefficient Vest or a Arc’teryx Proton LT Hoody. I mostly wore the Houdini Aegis Jacket over all those, and on my legs there were the Arc’teryx Gamma Rock Pants while on my head there was the well-used Arc’teryx Neutro Visor and the Julbo Trek Sunglasses.